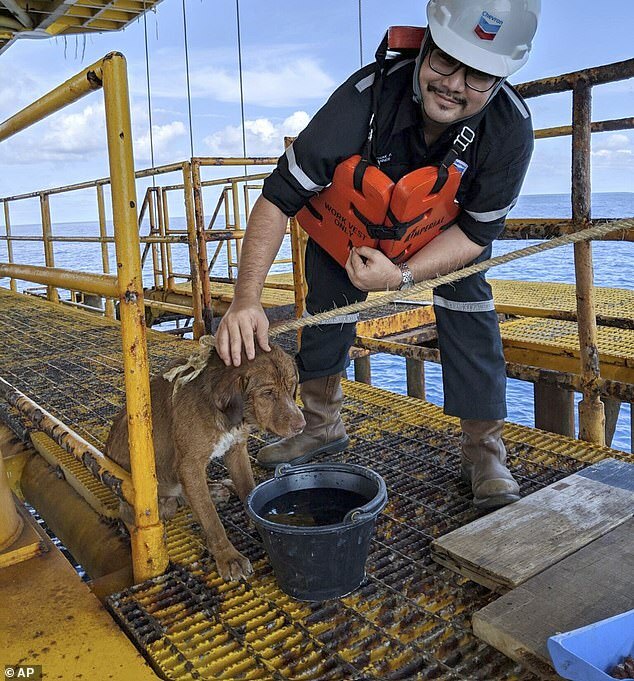 An exhausted dog found paddling 220 kilometres from shore has been rescued by oil rig workers. 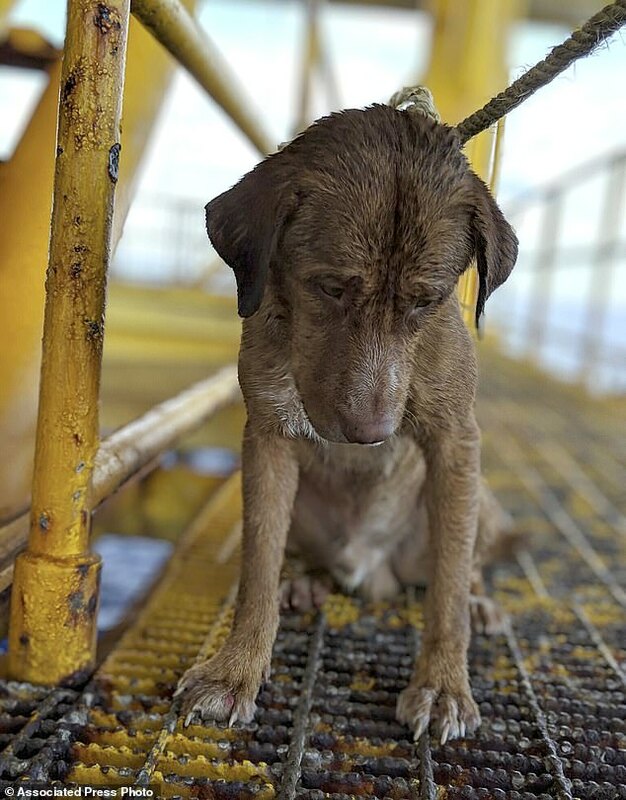 The tan-coloured pooch was pulled from the ocean on Friday after he was spotted bobbing between the waves in the Gulf of Thailand. Vitisak Payalaw, a worker on the rig, has shared the harrowing story on Facebook. 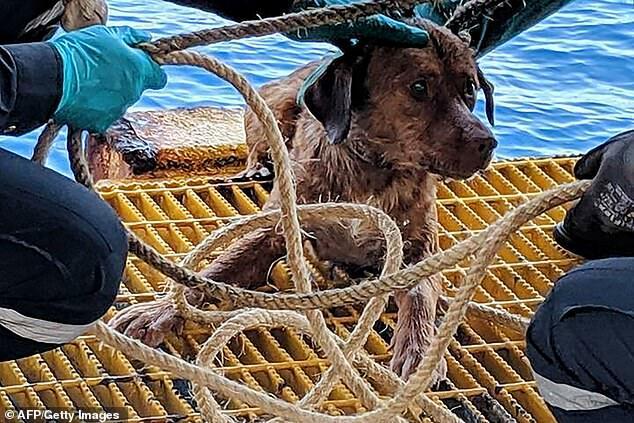 The dog had managed to paddle to the platform, clinging to the support structure below deck without barking or whimpering, Vitisak wrote. The crew managed to lower a rope and secure it around the dog’s neck and haul him up. Exactly how the pooch wound up in the water remains unclear. Vitisak speculated the dog might have fallen off a fishing trawler, and dubbed it ‘Boon Rod,’ or ‘Survivor’. Boonrod was recovering in Songkhla province under the care of a vet, an animal charity group told AFP Tuesday. ‘Thank you for seeing the value of a little life that floats so far,’ said Facebooker Wanna Wongvorakul. ‘So far his health is ok… it’s only skin problems that he’s suffering from now,’ a Smile Dog House staff said.